Hamadan: A Kurdish populated city and region in northwest Iran which is famous for its oriental rugs production. 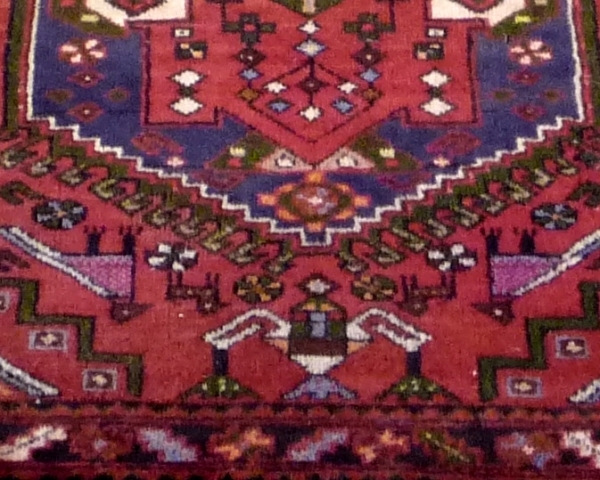 Rugs from hundreds of surrounding villages may be termed Hamadan. 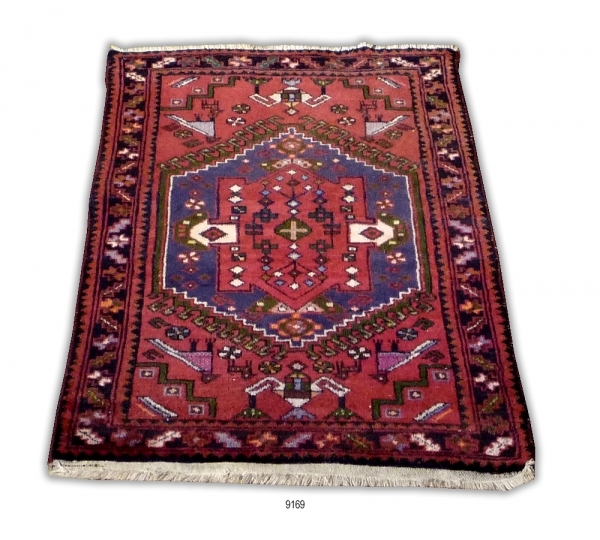 Hamadan rugs are woven in many sizes, are single weft, woven on cotton foundation and are mostly made for export. The symmetrical knot is mostly used and knot count is usually between 40 to 100 per square inch. Each village has its own specific design elements.